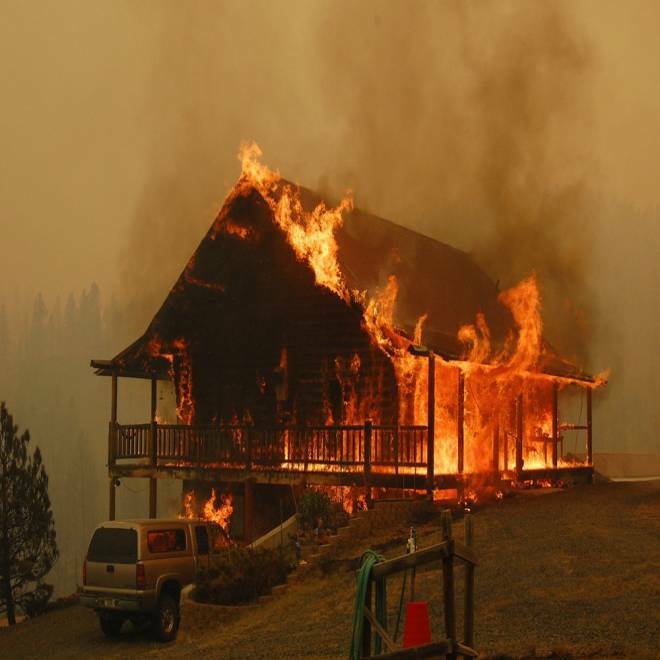 The 19 Mile wildfire in southwest Montana consumes a home on Wednesday. Winds and high temperatures were expected to create critical wildfire conditions this weekend in parts of Colorado, Nebraska, the Dakotas, Wyoming and nearly all of Montana -- where three new large fires started Friday, adding to the 100 square miles that have burned there in recent days. Crews are battling 10 uncontained fires in Montana, the worst of which is the 19 Mile wildfire. A dozen homes have been destroyed there and 125 more are threatened at that fire alone. Campers hoping to spend Labor Day weekend in popular spots were told to stay away due to the danger. The fires and dry summer have left much of Montana either scorched or brown. Billings has seen its driest summer on record, the National Weather Service's Billings office reported on its Facebook page, as well as its second warmest. It's also seen 47 days above 90 degrees, when the norm is 29 days. Watch video of some of the destruction caused by a wildfire this week near near Livingston, Mont. So far, at least, the city's water supply has stayed healthy. “We can be thankful that we’re a little sea of green in a very brown landscape,” Mike Rubich, a city water official, told the Billings Gazette. 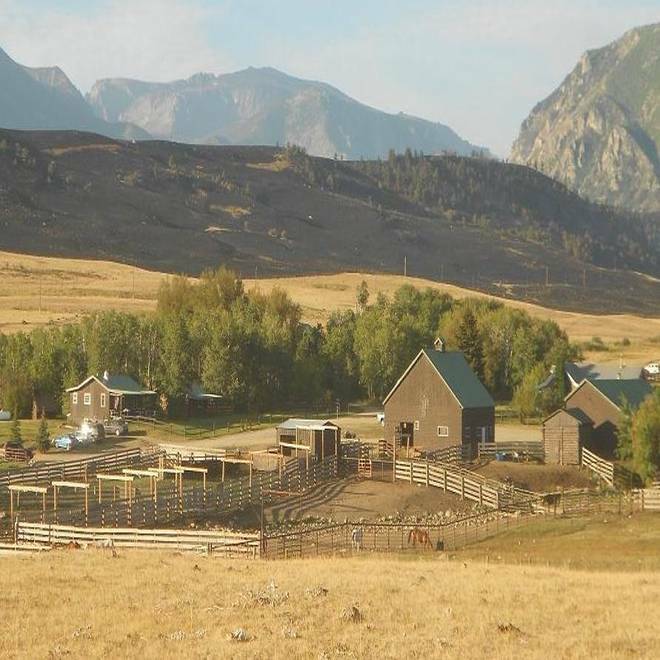 Land scorched by wildfires in Montana includes this patch behind the Lazy EL Ranch. The ranch was saved and that fire was fully contained on Friday. The Northern Cheyenne Indian Reservation and the neighboring Crow Indian Reservation have seen the worst of the Montana fires this summer. The Cheyenne have lost 19 homes this summer, and seen 90 square miles of reservation burn, The Associated Press reported. The Crow have lost one home but have seen 150 square miles burn. "Most of middle class America would be able to recover," Jennifer Perfater, tribal liaison for the American Red Cross of Montana, told The Associated Press. "But on the reservations here, you've got people who don't have homeowners insurance because they can't afford it. They've completely lost their homes." Across the U.S., this year has seen fewer total wildfires than average, but a much larger area burned. As of Friday, 7.6 million acres had burned since Jan. 1, well above the 5.9 million acre average for 2003-20012, the National Interagency Fire Center reported.